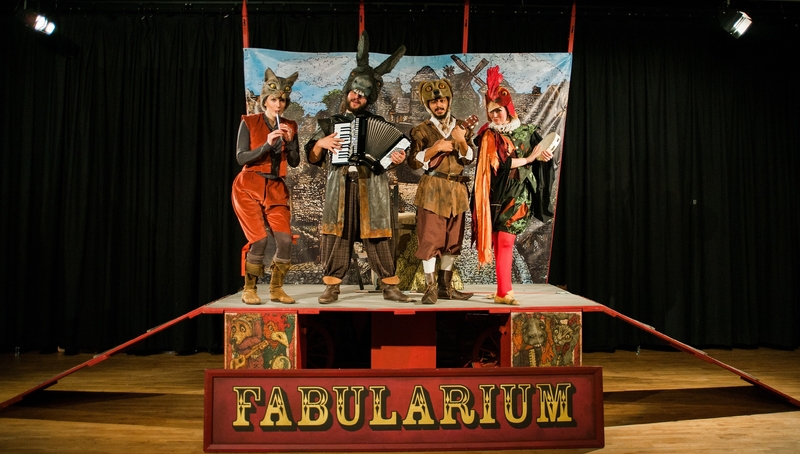 The Town Band of Bremen is an outdoor family show from The Fabularium about four fellow animals who all share a passion for music; featuring storytelling, live music, mask work, puppetry and a medieval cart that can be processed through town centres, community parks, and festivals. Ramsbottom Festival, Ramsbottom Cricket Ground in September. Herbert Art Gallery, Coventry in November. 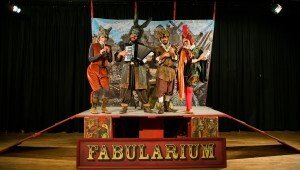 The Town Band of Bremen was created in 2014 in association with Arts Council England and supported by Coventry University. Special thanks to: Joff Chafer, Kieran Steward, Cara Gould, Emma Stevenson, the Lions part, Borough Market, the Transported team, and the lovely children of Sherbourne School and All Saints Primary School, who got to see the show first!